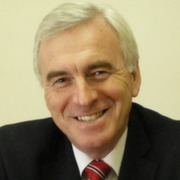 Below is the text of the speech made by John McDonnell, the Shadow Chancellor of the Exchequer, at the London Chambers of Commerce on 2 December 2015. I’d like to start by thanking the London Chambers of Commerce for giving me this opportunity to lay out what Labour’s new approach means for business. Jeremy was elected, back in the summer, he promised a new politics. I’ve spoken in the past few weeks about how this relates to a new economics. Today, I want to begin to lay out what the new economics means for businesses, and how Labour’s approach will be a break with the kind of mistakes made in the past. That means a new relationship between business and government. Not one of antagonism. But recognising how together we can generate and share prosperity, with proper support where it is needed. It means identifying the challenges and opportunities the rapid technological change presents us with. It means recognising real wealth creation, and developing long-term investment for the future. And for London, it means building on an extraordinary economic record, but recognising the many problems the capital faces. The backdrop to my speech here today is an economy that is finally growing again after the slowest recovery on record, but where the headline figures hid deep underlying problems. The productivity gap between us and the G7 is at its largest since 1991, and last week’s Office for Budget Responsibility report downgraded their forecasts for productivity growth for the rest of the Parliament. Our current account deficit has reached record highs. We’re not properly paying our way, becoming far too dependent on short-term borrowing from the rest of the world. And with interest rates glued to the floor, the pace of household borrowing is picking up rapidly. So rapidly that the Financial Policy Committee is considering activating the countercyclical buffer, and warning about future shocks. London is an exceptional, world-class city. It’s an extraordinary centre for creativity and entrepreneurship. A new business in London is created every 6 minutes. But keeping London, and London’s businesses at the cutting-edge means recognising where we’re not doing enough. And that means changing what government is doing. It’s not good enough that 36% of London’s businesses report being affected by slow internet speeds in the last year. London ranks 26th out of the 33 European capitals for broadband speed. Average connection speeds in Bucharest are nearly four times faster than here. Meanwhile, as so-called “superfast” broadband trickles out, countries like South Korea are investing in ultra-fast broadband, with connections of 1,000 megabits per second compared to the 25 megabits speed typical today. It’s no good patting ourselves on the back about London’s great historic legacies, and its status as a cosmopolitan world city, whilst failing to build on either. And it’s no good the government talking up improvements in connectivity when too many businesses face a reality of delays, difficulties, and poor service. More needs to be done to support the digital economy. We would support the London Chamber of Commerce’s calls for the creation of a London business panel focused on raising awareness of the benefits of online trading to sole traders and small businesses. Building on London’s success means ensuring the whole country shares in the prosperity. The better our regions and nations outside the capital do, the better we all do. We want London businesses to also share in the potential of the rest of the country. That means delivering investment here and across the UK. We want to keep this city and country at the cutting edge, helping build the high tech, high wage economy of the future. That also means solving London’s housing crisis. London rental prices are the highest in Europe. The biggest single constrain on London businesses right now is that the people they want to employ can’t afford to live here. That’s bad for them, bad for business, bad for all of us. Labour is committed in government to providing at least 200,000 new homes a year, and would allow local councils additional powers to tax empty properties, bringing them properly into use. My colleague Sadiq Khan, if elected Mayor, would like to see public land held by bodies like Transport for London used for more housing. All of this together is why Labour has decisively rejected the Chancellor’s austerity policies. Not a single credible economist can be found to support his fiscal surplus rule. By restricting day-to-day and capital spending, it places a straitjacket on vital government investment. There is no credible economic case of austerity and there never has been. We think the tide is turning on this question as the real impacts of extraordinary spending cuts become clear. George Osborne was pushed into a u-turn on the tax credit reductions that would have seen 3m families lose £1,300 a year. It was under pressure from Labour and others that he reversed. However, the pain has been delayed, rather than postponed. As the Institute of Fiscal Studies analysis shows, Cuts to Universal Credits will see a similar number of families lose a similar amount, but pushed somewhat into the future. Labour will continue to campaign for a fair deal here. The reality of his delayed cuts to tax credits is that 2.6 million working families will be £1,600 worse off, as the independent IFS has set out. This is taking £4.1bn of spending power out of the economy. Labour has offered George Osborne a way for him to reverse his own cuts – by targeting a lower surplus and reversing his giveaways to the wealthy, but we’ve yet to receive an answer. Other cuts will continue, even if at a reduced pace. Local authorities face an extraordinary 79% decline in their budget, should Osborne carry out his plan. And Osborne is continuing the extraordinary pace of asset sales, with air traffic control, the Land Registry and the Ordnance Survey all scheduled to be sold. But Osborne has to complete the sales to meet, as the Office for Budget Responsibility say, his own debt reduction target. Without the asset sales, he misses his own, economically worthless, target. This isn’t a long-term economic plan. It’s a series of short-term political manoeuvres. In place of austerity, Labour will seek to balance spending on the government’s day-to-day at a pace compatible with fair and sustainable growth, whilst making sure government can still use its full powers to invest in vital infrastructure, science, and skills. We are committed to raising the level of infrastructure spending to at least the minimum the OECD thinks applies in a developed economy, of 3.5% of GDP. At present, despite many fine words in the Autumn Statement, government infrastructure spending is scheduled to fall to well below half that figure over the next few years. It’s no use increasing capital spending in the Department for Transport, whilst cutting day-to-day spending a colossal 37%. We’ll be building new roads – but how will pay to repair them? This isn’t good enough. And whilst we welcome the government’s commitment to protect day-to-day science spending in real terms, we should, like the US, China, Germany and France, be looking to increase what we spend on research and development. That’s how we can start to make the most of the opportunities that technological change is bringing. The government spends less than 0.5% of GDP on research and development. We will look to lift that level, aiming to deliver research and development spending, from all sources, of 3% of GDP over the course of the next two Parliaments. And subsidies for solar energy have been slashed, tearing apart what was a British business success story. Businesses in their infancy and operating in high-potential areas need support. We’ll be losing out on what Barclays has called a $30trillion global investment blitz from fast-growing green industries. It’s the short-term thinking that leads to the closure of the successful Business Growth Service – not announced in the Spending Review itself, but only made public nearly a week later. The Business Growth Service had helped over 18,000 businesses meet their potential, raising £100m in funding for small businesses. It’s been sacrificed on the altar of austerity. There’s a deeper failing here. We’ve had decades now where successive governments have focused on the short-term. It’s why we don’t invest properly in infrastructure. It’s why skills budgets are cut and the training we provide not adequate. Independent polling shows that among the main barriers to London’s global competitiveness is its lack of affordable housing and its lack of skilled workers. The future prosperity of our nation’s economy is dependent on strategic investment today. A future which is being gambled by this Government. We know that is our access to EU labour markets, our digital connectivity and our infrastructure which are the most important factors in attracting businesses ventures to London yet too often we are failing to incentivise that investment. We have major institutions, like the Treasury, that seem far too concerned about short-term penny-pinching at the expense of long-term investment. I’m pleased that Lord Kerslake is now leading a review of the Treasury, launched yesterday, and looking to see how it can function in the best interests of the whole economy. But we need a break with the past if we’re to meet the challenges of the future. This short-term way of thinking, sometimes called neoliberalism, has had its day. Short-termism means all of us lose out. It means skills shortages. It means poor infrastructure. It means failing to invest in science and technology. It means a seriously unbalanced economy, both domestically and in our relations with the rest of the world. Our current account deficit, and the dependency it creates on short-term financing with all the risks this entails, should be treated as a particularly concern. Above all, it means failing to reach this country’s potential. We need institutions and a government that stand on the side of our real wealth creators. The business that create decent jobs, that pay their taxes, and that bring a social value to their communities. The innovators and entrepreneurs who create new wealth. And those who work, whether for themselves or as employees, providing the goods and services. But we are all being poorly served by the institutions we have. Our current financial system is plainly not fit for this purpose. 2008 should have been a wake-up call. Instead, we’ve allowed it to settle back into a rut. Reforms have not gone far enough. This means businesses lose out. Less than half of small traders were approved for bank credit over this financial year. Lending to small businesses has fallen and fallen again, year after year. Even with a recent improvement, lending is down £49bn on 2008 levels. It’s no good expecting our high-street banks to provide. Despite recovery in some parts of the economy, the Funding for Lending scheme is having to be extended in an effort to get our banks to try and lend to small business. For small businesses, “too big to fail” shouldn’t also mean “too big to lend”. Nothing substantive has changed. The same failed institutions we had before the crash are all set to fail again. Labour will take a different approach. No other major developed economy has just five high street banks providing over 80% of all loans. A more diverse market for finance will be a more resilient financial market. We think that regional and local banks, properly managed with a public service mandate, are part of the answer for small businesses. We want banks that know their customers and understand the needs of their local businesses. Germany’s network of highly successful “Sparkassen”, publicly-owned local banks in tune with their communities, provide one model. The individual branches support each other to provide security, with a combined balance sheet of over 1trillion euros. But the banking licence for each branch means it has to lend only to local and regional businesses. The US’ Community Reinvestment Act has helped promote transparency amongst banks and lending to small businesses. We’ll look to introduce a similar Act of Parliament here. And we’ll look for ways for government to support innovative new forms of financing in peer-to-peer lending. Placing this emerging sector on a properly regulated basis can help it grow. I’ve been meeting with Mark Boleat of the Corporation of London to discuss how the City of London can use its resources and its talents to help deliver the patient, long-term financing businesses in the UK need. We want a new compact with the City, spelling out its obligations. And we’ll retain the right to legislate if needed. But it’s not just financing. Our tax system needs to be focused on the future. Tax reliefs have grown into an unmanageable thicket of different schemes and wheezes. This tangle is estimated to cost the taxpayer at least £110bn a year. Labour think it’s time for a pruning. We want to encourage healthy growth, keeping the reliefs that promote good investment, jobs and entrepreneurship. But we’ll cut away at the wasteful and the unnecessary. We’ll launch a proper review of the system, lead by my colleague Seema Malhotra, looking to cut away where we can but keeping the parts that help support decent businesses. We want to do what we can to unlock the potential of our businesses, including releasing the huge cash hoards they have built up over the last decade. We think money should be invested for the long-term. The system of reliefs needs a root-and-branch reform so we can get the best possible deal for taxpayers, businesses, and society at large. But we have to be clear. There needs to be a different approach to business taxation all round. This Chancellor has cut and cut again the rate of Corporation Tax. That’s cost the taxpayer £7bn over the last Parliament. Yet business rates have risen by a total of £3bn over the last Parliament. That’s a huge increase, particularly for small businesses. We think the tax burden should fall heaviest on the broadest shoulders. And we want to see our small businesses also able to grow and flourish. So Labour will cut the headline business rate in their first Budget, and freeze it thereafter. We’ve made a firm defence of tax credits, and we welcome George Osborne’s decision to reverse the cuts to tax credits. Of course, we know there’s a job still to be done here with the cuts to earnings still coming through the Universal Credit system. But we recognise the value of tax credits in helping provide a solid financial footing for the self-employed and those just starting their businesses. Labour has always been the workers’ party. The clue is in the name. But we need to recognise how, and where, people work has changed. Self-employment reached a record high last year. New technology is enabling new ways of working. Some of this is providing opportunities for entrepreneurship and expanding the range of goods and services we have access to. But it can also mean the exploitation and uncertainty of zero-hours contracts, or the intolerable pressures placed on those in existing forms of employment. We have many institutions that are simply not adapted to the new world of work. Labour is proposing a new contract for a new workforce, and for new businesses. We need to think of ways that we can offer the same protections to those in self-employment as those in more traditional employment contracts. We can start by making sure maternity and paternity pay is properly provided for those who are self-employed. Labour will insist on giving everyone a fair deal. That fair deal applies across society. Businesses create a huge value. And that’s not just the revenue they earn. It’s the vital social value of small traders, of independent shops, of start-ups. It’s the taxes paid, and the good jobs supported. It’s being a part of a community. It’s providing a service, big or small. We think it’s dog eat dog. But real wealth creation isn’t about some desperate war of all against all. Now I’m a socialist. But my socialism has always meant all of us pulling together. What we achieve by working together is always going to be more than what we achieve separately. Working together means recognising contributions when they are made. It means recognising the hard work and effort our decent businesses make. We know a small number fail the rest of us. The tax dodgers, wriggling out of making the fair contribution the rest of us make. The under-payers, ducking their responsibilities to their own employees and failing to pay a wage anyone can live on. It’s an attitude that’s fine for some. But the decent businesses who make the effort lose out. We’ve allowed a small minority to duck their responsibilities to society, undercutting wages and undermining the public purse. The rest of us lose out from the actions of a few. We think decent businesses should be recognised. Those businesses who pay their taxes transparently and properly, and who pay their employees at least the living wage, deserve proper, public recognition. It’ll be open to any business that wants to apply. We’ll make sure that the strivers are properly and publicly recognised. We’re on the side of the real wealth creators, across the country and right here in London.